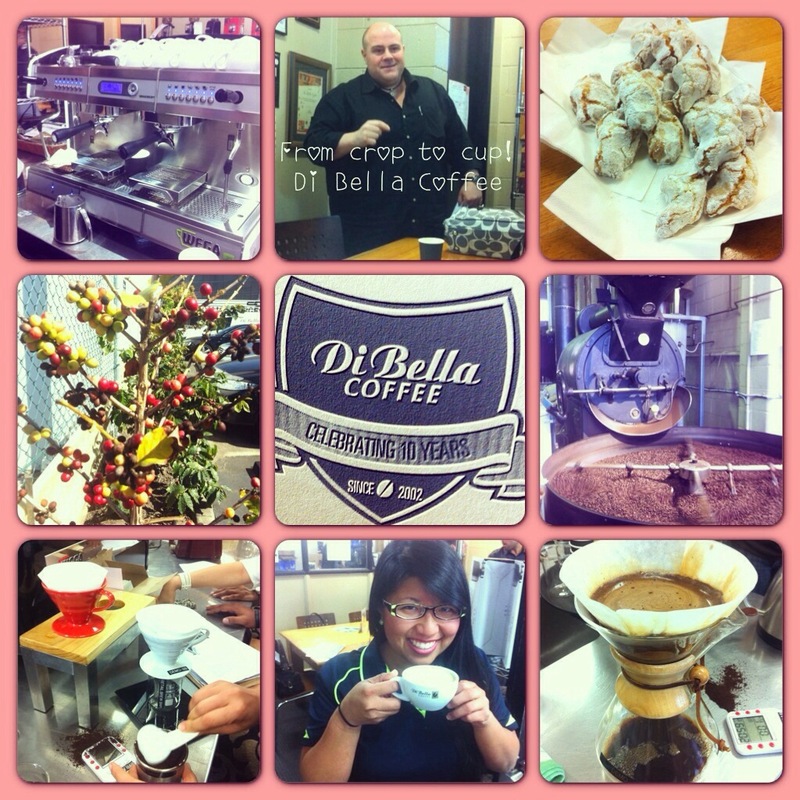 What a fascinating day at the Di Bella Coffee Warehouse! Coffee culture is so huge all over the world and even though I am not a coffee drinker (no expresso shots please), I was interested in learning about why people love coffee so much. Our day began with a warm welcome from the biggest coffee lover himself, Mr. Philip Di Bella. A fun fact about Mr. Di Bella is that he became the world’s young recipient of the ‘Order of the Star of Italian Solidarity’ for his contribution to the Italian Community. He encouraged us to learn and experiment with the various types of coffee beans and also let us try out his new product, Espresso Kick+. It is a natural, no fat and low in sugar cold coffee that is a natural source of caffeine and can boost your energy twice as much as a natural energy boost. We were then hosted by Mr. Michael Hunter who took us outside to show us the coffee trees that produce small cherries that contain two seeds. Did you know that one pound of coffee is derived from 4,000 coffee beans? Coffee trees can grow to around 20 feet and have a life span of 60 years. Then, we went inside the warehouse to learn how the coffee beans are harvested, blended, and roasted! They pride themselves on establishing My Crop to Cup in 2010 that is a green bean buying program where Di Bella Coffee directly works and buys from the coffee farmers who supply the coffee choosing the highest quality crops and ensuring that the beans are farmed under ethical and sustainable conditions. All of the coffee bags are stamped with Crop to Cup Certification to show the relationship between the Di Bella and the farmers. I really loved learning how to use an Aeropress, V60 Dripper, and Chemex. Each cup of coffee tasted completely different from one another. Then, I tried to make an espresso and attempted to pour the milk into the cup. I do not have a strong skillset in this area would not qualify as an outstanding barista. Di Bella Coffee could not hire me at any of their 1,200 cafes in Australia but thankfully, I was not on a job interview. I loved Mr. Di Bella’s entrepreneurial spirit and turning his passion for coffee into a reality and serving over 2.2 million cups of coffee to customers weekly. His inspiration reminds me that we too can turn our passions into a reality.